Fully immerse yourself in the life of a safari on this game ranger course in a private reserve close to Port Elizabeth. Living on a Big 5 game reserve, surrounded by wildlife and beautiful scenery in itself is second to none. 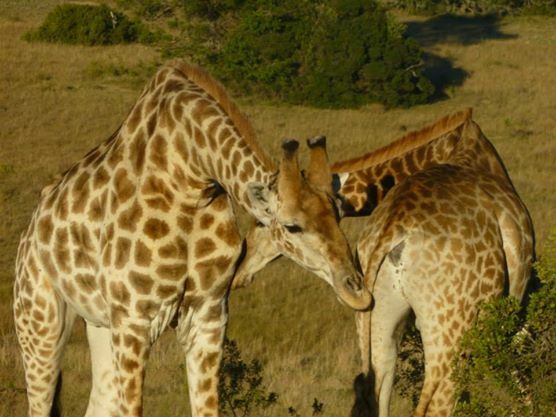 Coupled with learning about tracking, astronomy, animal behaviour and much more, you can really get into the nitty gritty of understanding the environment and how these animals live together within it. Many of our participants who complete the game ranger course are passionate about the environment, wildlife and discovery. Others are studying geography, geology, biology, land sciences or something in the similar field. Others still are simply looking to broaden their horizons, learn something new, and potentially dramatically change their career path on a career break. The game ranger course will, upon successful completion, give you a FGASA Field Guide qualification. FGASA, Field Guides Asssociation South Africa, is a widely recognised qualification which immerses you into the basics of being a game ranger. It takes 8 weeks to cover the syllabus, which is diverse and fascinating in equal measure. This is a real beginners’ guide to the game ranger course. Learn fully about the role of the game ranger, how to work with the public, how to deliver safety briefings, how to prepare for a day out in a reserve, how to interpret wild animal behaviour and how to orientate yourself during the day and night. For a hands on person keen to gain an understanding of the world, the geology modules are fascinating. Gain an understanding of what the Earth consists of, how rocks are formed and classified, how they weather and how they fit in with the larger environment and climate as a whole. This is a really exciting module designed to give you a good understanding of the night sky. You will learn to identify some of the constellations, discover how to orientate yourself by the stars in the night sky and understand how the phases of the moon affect the tides. Perfect for Brits who do nothing but talk about the weather- now you can fully understand it! You will learn about the process of cloud formation, identify the different clouds and learn what sort of weather each cloud type might bring about. This module can really help you to understand life in the wild- and survival of the fittest! You will learn to understand food chains, how ecosystems work, how to classify different types of animals, what the various types of competition in the wild are and how symbiotic relationships work. Learn how to identify different grasses and trees, understand any medicinal uses associated with them and which animals depend on what to survive. Learn all about arthropods (insects), amphibians (frogs and toads), reptiles, fish, birds and mammals. Gain an amazing insight into the habitats, survival, adaptations, life cycles, feeding and reproducing of these different creatures. Learn how to differentiate between species, how to identify poisonous snakes, spiders and scorpions, how fish move and survive underwater and how animals behave as a group and as a whole. Gain an understanding of the early human inhabitants in South Africa, understand what conservation issues are at stake and what can be done to continue the protection of the flora and fauna of South Africa. The 8 week course is fully immersive and very hands on. The game ranger course participants will take part in the Big 5 volunteering too, in order to give some really practical experience of life on a reserve. Next Post How will new security measures at airports affect my travel? I am interested in doing the game ranger course and I would like to know if after the course I will have the FGASA qualification or do I have to take the exam when I finish the 8 weeks. Will the cost of the exam be included in the price of the trip? Hi Chloe, it is great to hear that you are keen to do this course. The entrance fee for the FGASA exam is included in the price that you pay on this trip, it is just down to you to pass it. I hope that helps! How much of the Game ranger course is theoretical compared to practical? Hi Charlie, thank you for your message. It is great to hear that you are keen to do something like this. Most activities are out in the field, with other lectures and theoretical sessions working around that. As with any exam however, there is lots of independent study to do as well if you would like to pass – and the rangers are always there to help you with any questions that you have from that. I hope that helps! Than you for the quick response. Do you know roughly what the daily line up will be? so that I have an idea of what to expect. Sorry I meant in the context of practical and theoretical. So is it practical work in the morning and theoretical in the afternoon? Or is it jumbled so one day you could have all practical and the next all theoretical? Hi Charlie, no worries at all. It is all a bit mixed in really. The practical tasks are demand-driven, and at times it will not be possible to do certain activities (weather, health and safety, animal health) and so this will mean that things can chop and change a bit. The theory is generally incorporated into the practical as much as possible – ie if you are learning about a certain species, you would be out in the field learning to identify that species for example. I hope that helps!